What Agile mean’s at Page One in five points. What does Agile video production mean to us in five points. 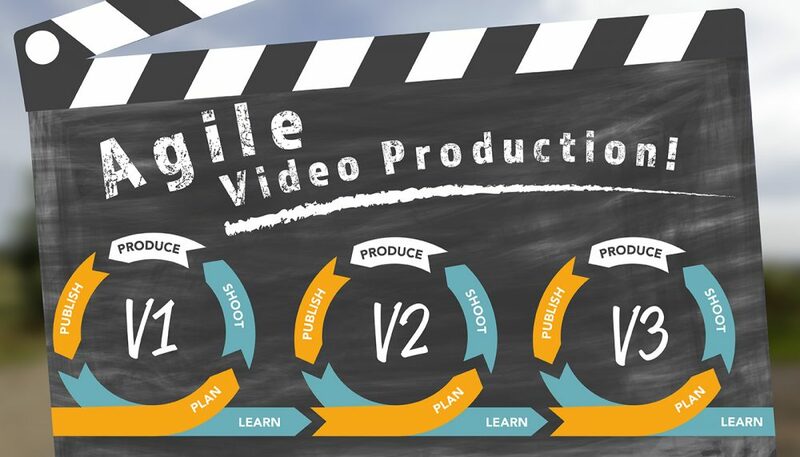 Agile production methods can mean different things to different businesses, so we thought a quick five point taste of what Agile video production means here at Page One would be a good thing! We don’t expect a project to run smoothly or look exactly how it might have been first envisaged. So we build flexibility and the expectation of change into our ethos and process. Working as a team where everyone has ownership of a project means that change can be implemented rapidly and easily. When we get started we don’t stop or pause. We focus on a project and maximise our productivity and creativity by minimising stops and starts and keeping our workflow constant. We get work done as quickly as possible within a team environment. 3) We collaborate instead of negotiate. We solve your problems instead of getting you to solve ours. 4) We don’t do stuff which has no value for you. We use existing brand material and research and knowledge in projects as far as possible, we minimise documentation and only produce what is required. (Do you really need to storyboard?) We don’t include processes which are not needed. We don’t bring in outside contractors, and we use our own gear. We don’t experiment on your time. We proactively drive a project and ensure that we hit deadlines. Agile video production for us isn’t about a lack of process, it’s about a different process. It’s about team work and delivering great video that has value and is timely. It’s about making video work for the client. We believe that our Agile production means great value video faster, which allows you to use more video more often, keeping your content current and making the most of the advantages video can bring to your business.